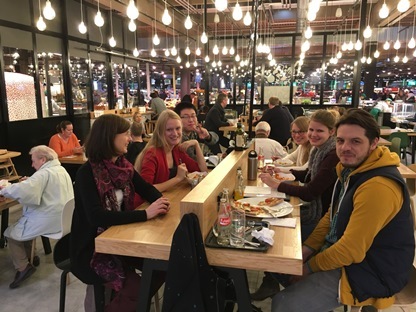 At the 20.01.2017 for the students of the Seminar Marketing and Market Research a daily excursion was organized to the flagship store of Real in Krefeld, NRW. Fresh fruits and vegetables invite you to an exceptional shopping experience when entering the store. 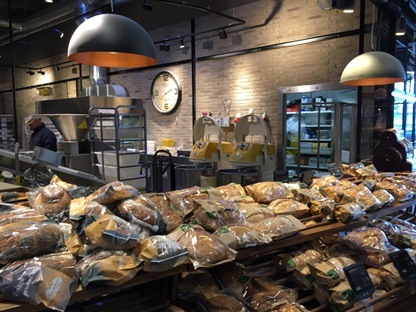 The smell of freshly baked and homemade bread creates a welcoming atmosphere. “We divide the store into rational and emotional parts” so the CEO of “Markthalle”. The checkouts are not visible from the entrance. Costumers shall enjoy their shopping trip and put less focus on how much money they spend. Besides a big offer of food products, a wide range of non-food products can be found in the store. Due to strong competition in different market sector the diversity of e.g. cloths displayed, had to be reduced. 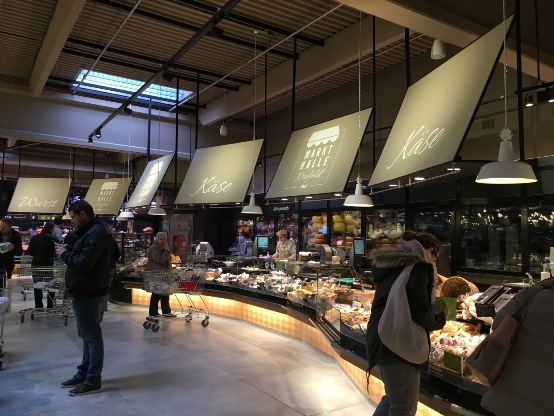 Special about the “Markthalle Krefeld” are the various eating points, the bakery and the café. 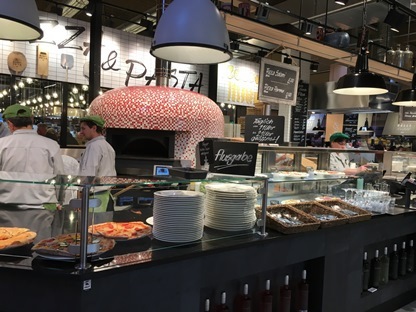 Recently, 100 additional employees have been hired to increase the offers and to create a restaurant-like atmosphere within the supermarket that invites the customers to spend more time on the spot. Almost all gastronomy services are managed by Real itself. 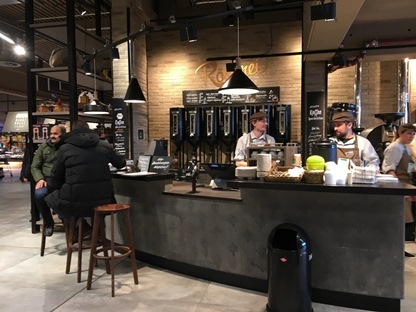 Even the coffee is roasted in store. 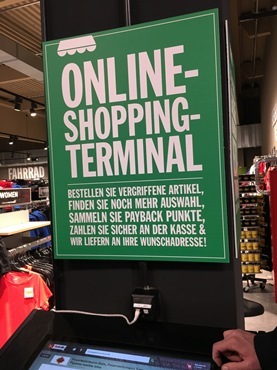 In the store customers are able to buy things online which are out of stock or not provided in their instore assortment. Because of that the assortment increases from 80.000 products instore up to 5 Million products from REAL online. A bride variety of meals are provided in store, containing, pizza and pasta, sushi and other asian meals. Coffee is roasted in Store. 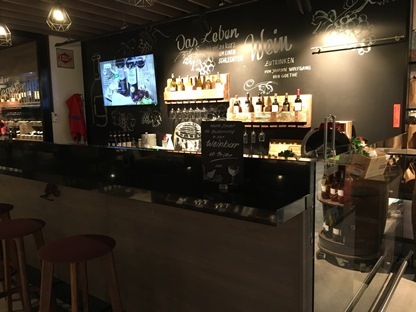 You are able to taste the wine there before buying. 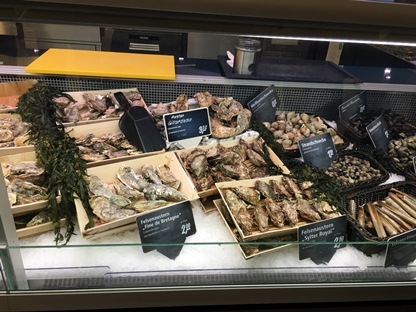 Fancy Food like Oysters and Kobe Beef are also a part of the store. At Lunchtime, enjoying various meals from the store.